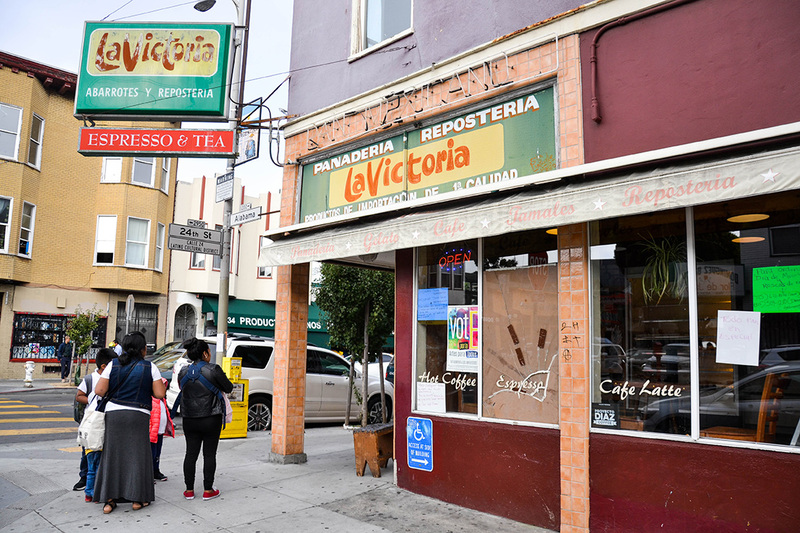 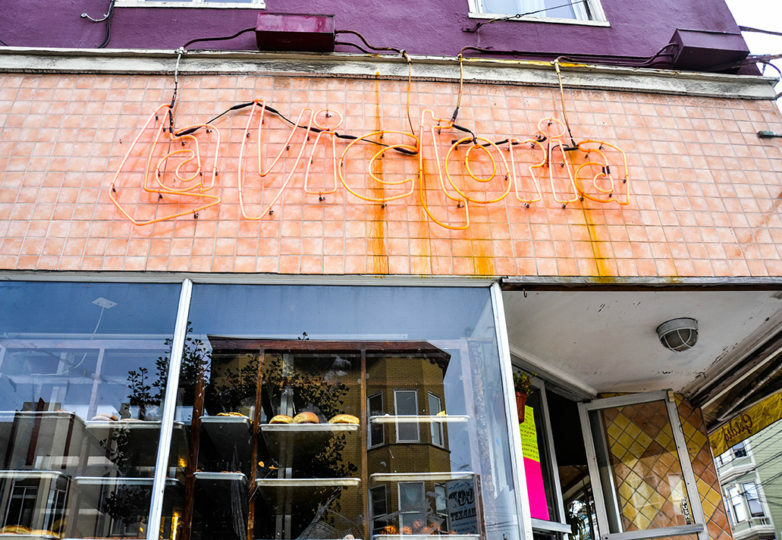 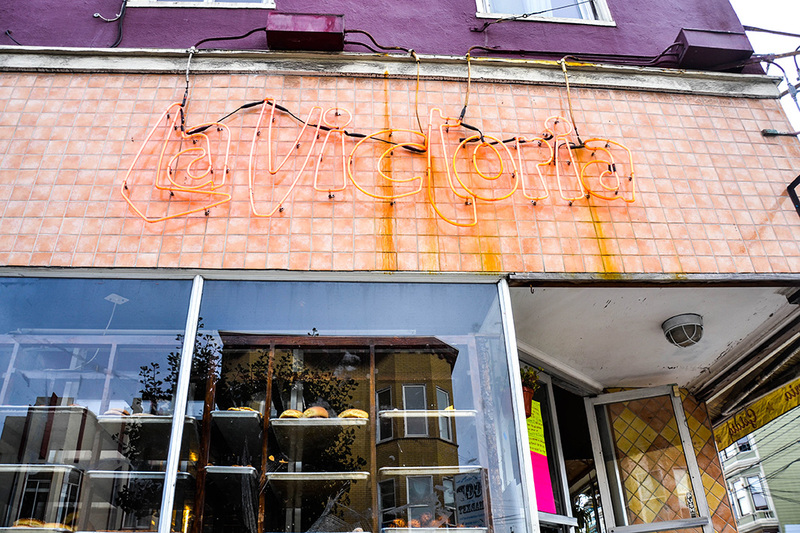 After 67 years, La Victoria closed the doors at its 24th and Alabama storefront for the last time on Oct. 9, 2018. 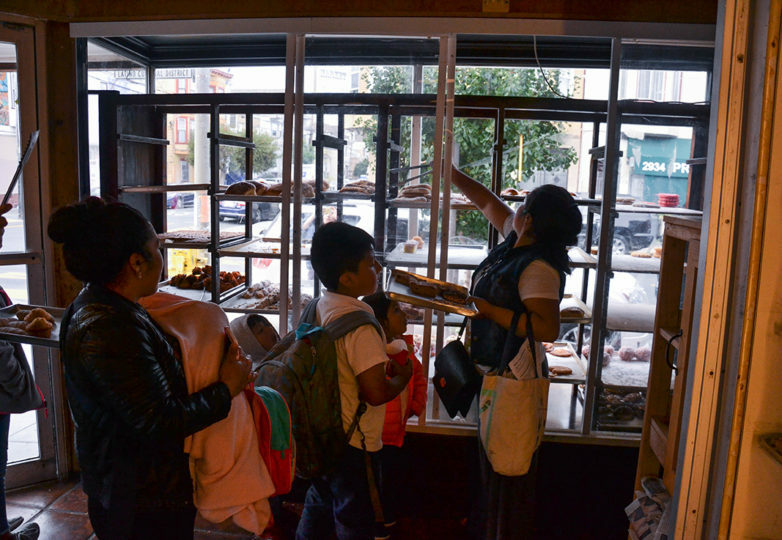 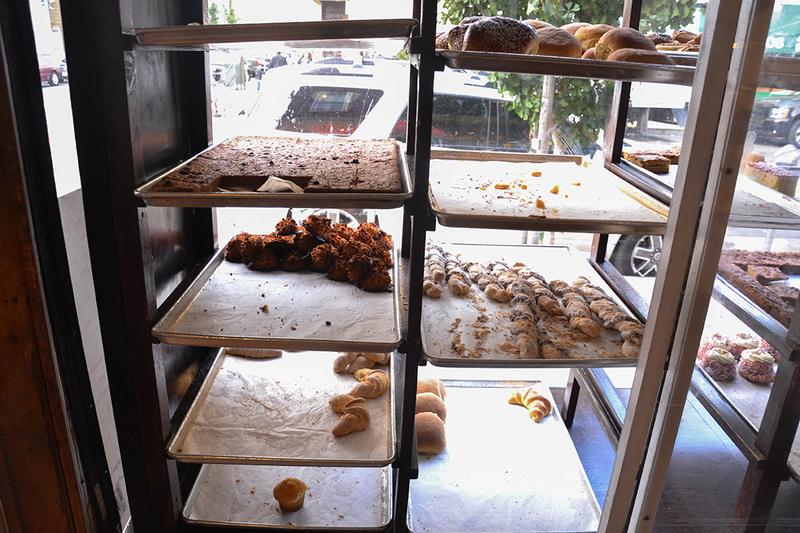 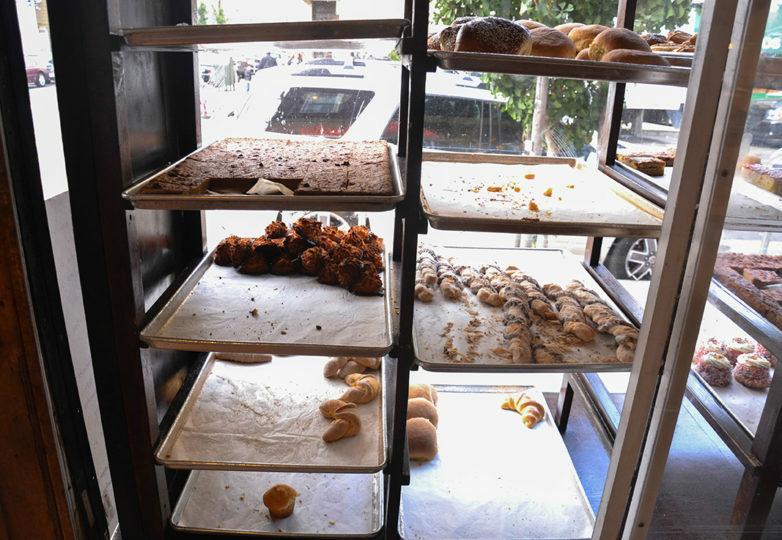 On La Victoria’s last day, the shelves were half full and customers came in to take what was left and express their love and appreciation for the bakery. 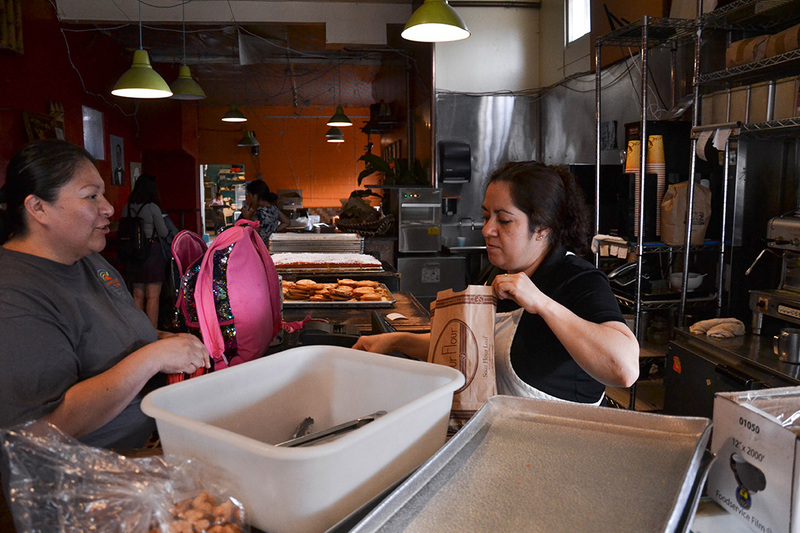 A patron named Juliet and her daughter Gabi were among those who came in. 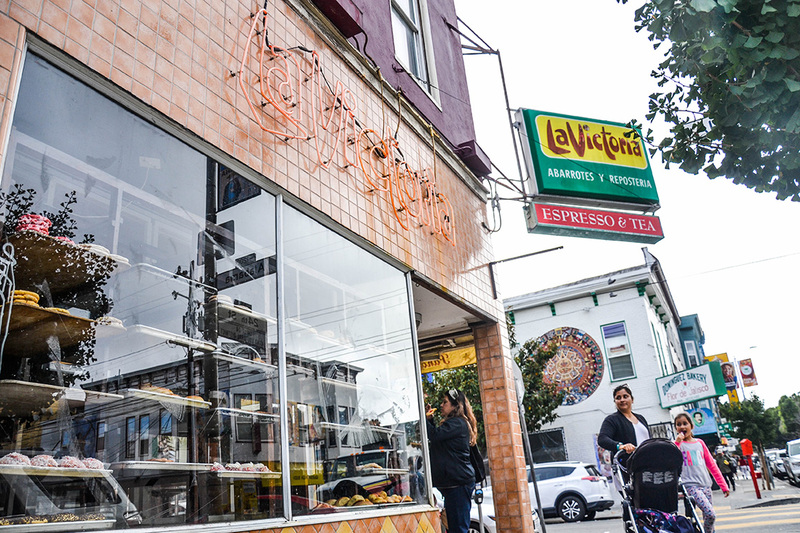 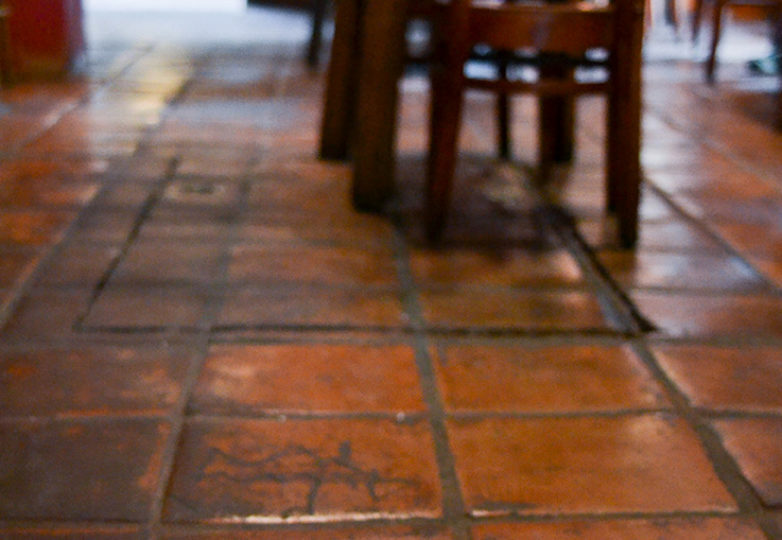 Juliet has been going to La Victoria for almost 21 years and was very sad to see them go. 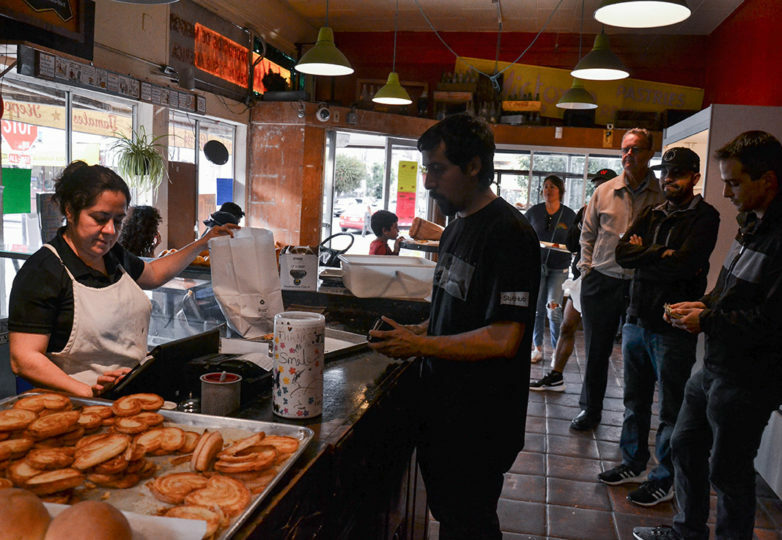 “It’s like one of those neighborhood businesses that you just depend on it being there. It represents a part of the neighborhood that has obviously been progressively moved out for the last several years,” said Juliet. 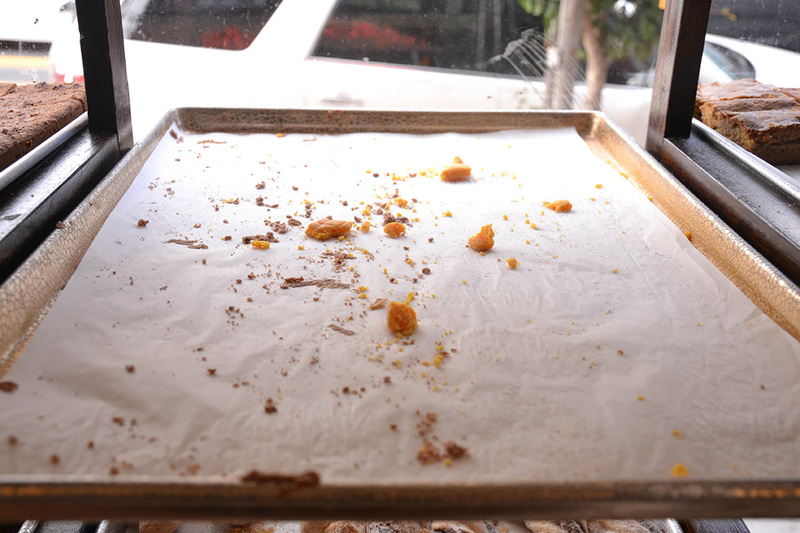 Juliet said that it was hard to see them go. 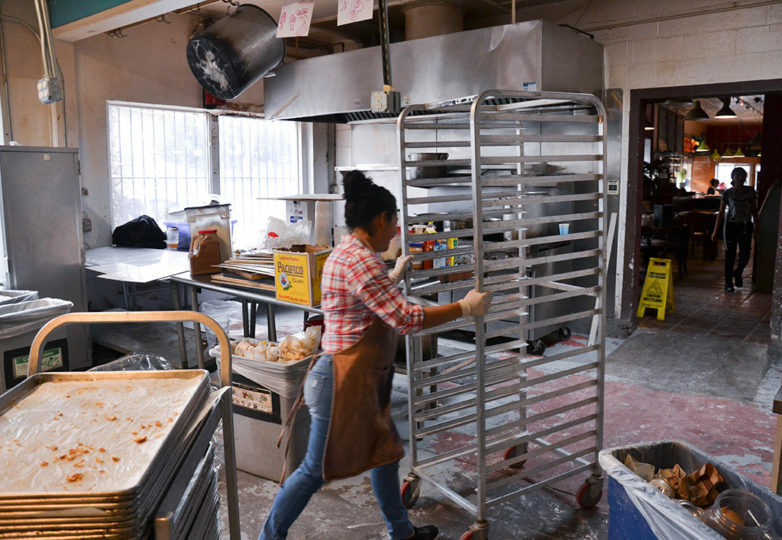 She thinks that things should change and evolve on a certain level, but it is always upsetting to see hard working people and families who have been the backbone of the community for so many years be pushed out. 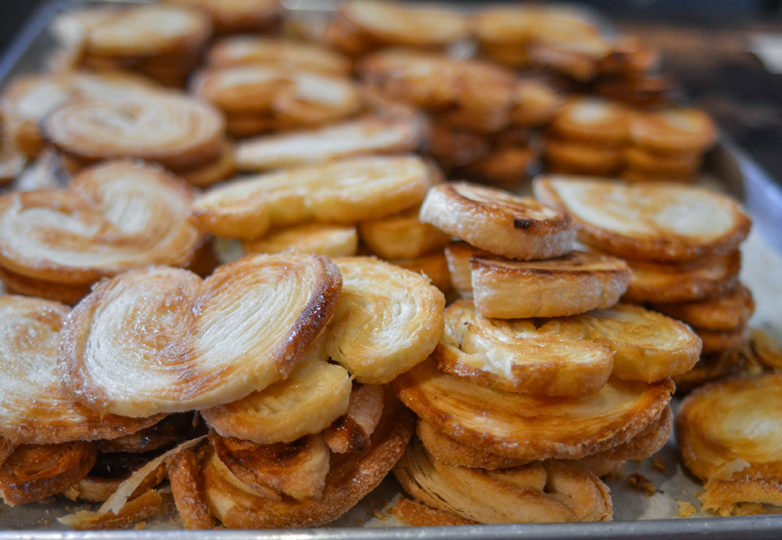 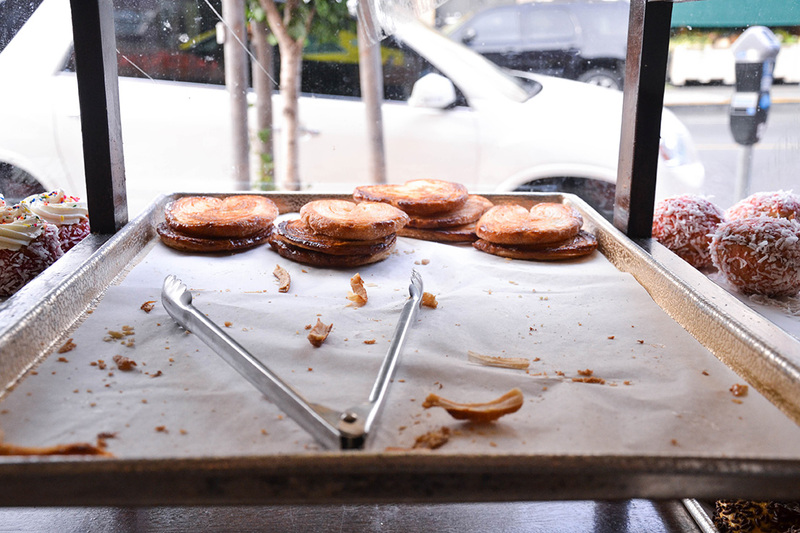 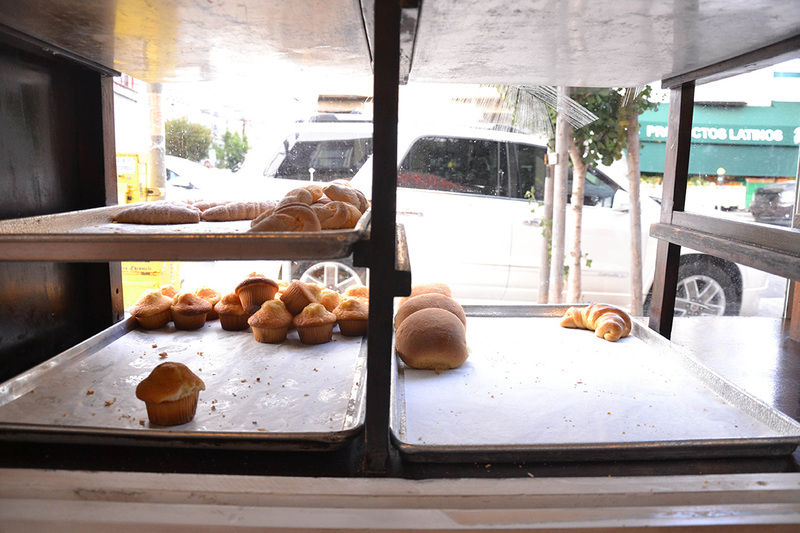 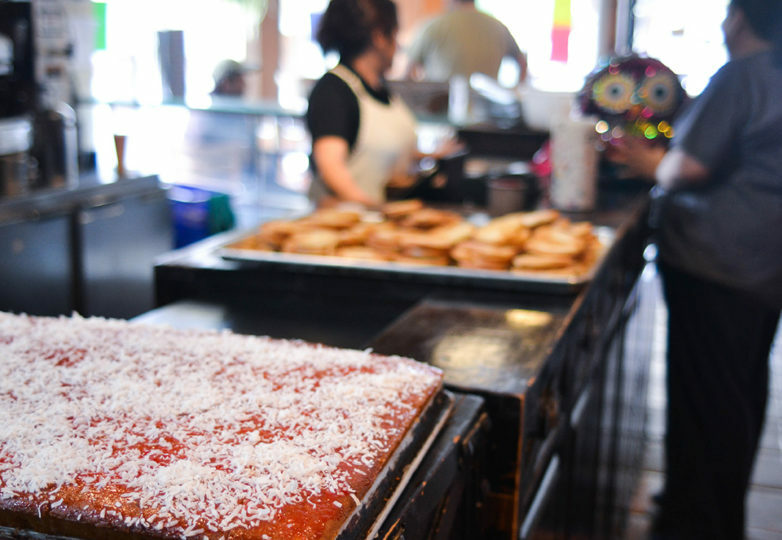 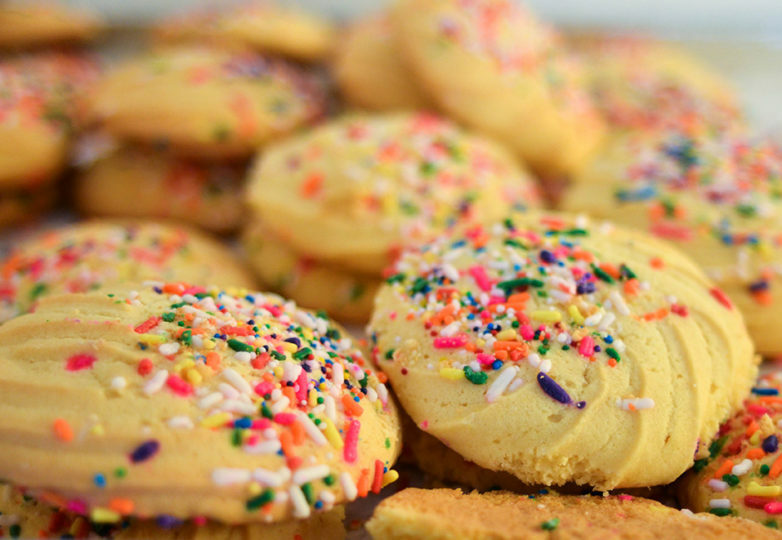 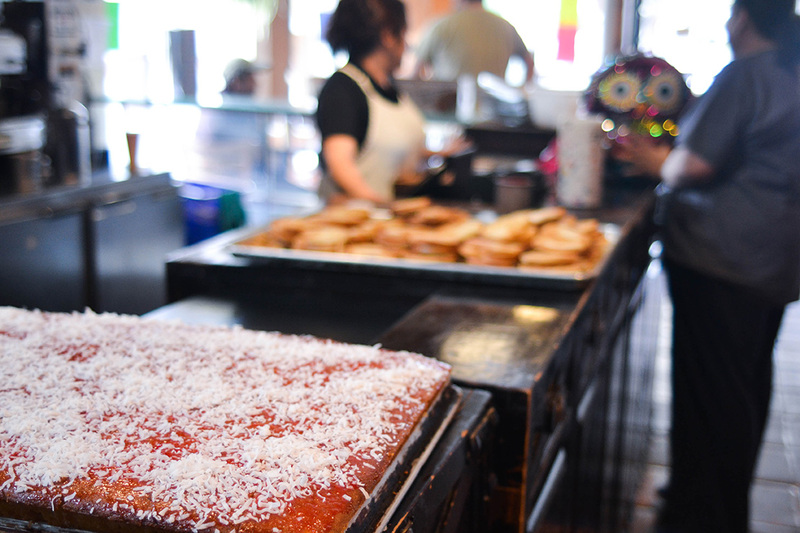 The bakery was originally founded by Gabriel Maldonado in 1951, and was passed down Gabriel’s son Jaime Maldonado in 2000. 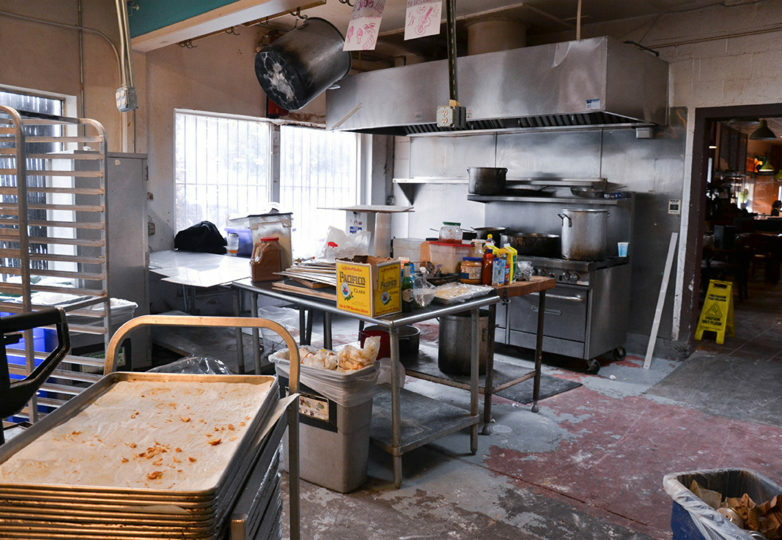 But as of January 2018, the business and day-to-day operations were handled by Laura Hernandez and Daniel Gabriner, although the building remained the property of the Maldonado family. 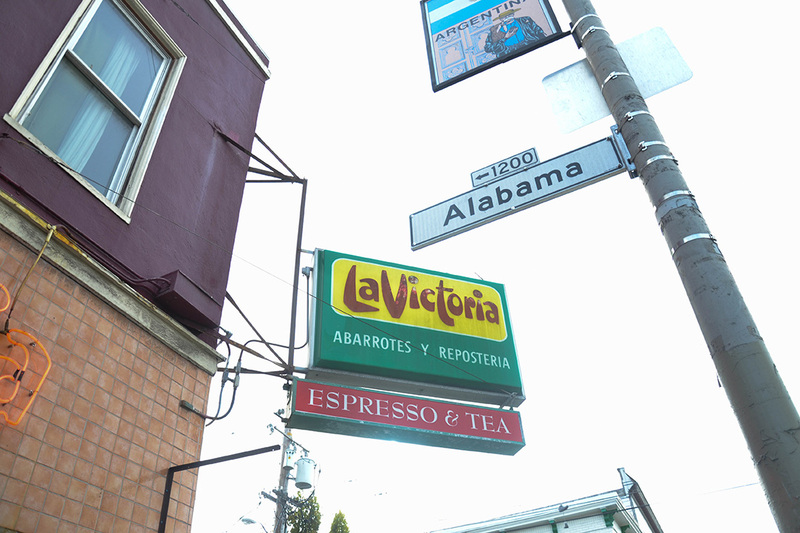 Hernandez has worked for La Victoria for 12 years, and Gabriner joined her in 2010. 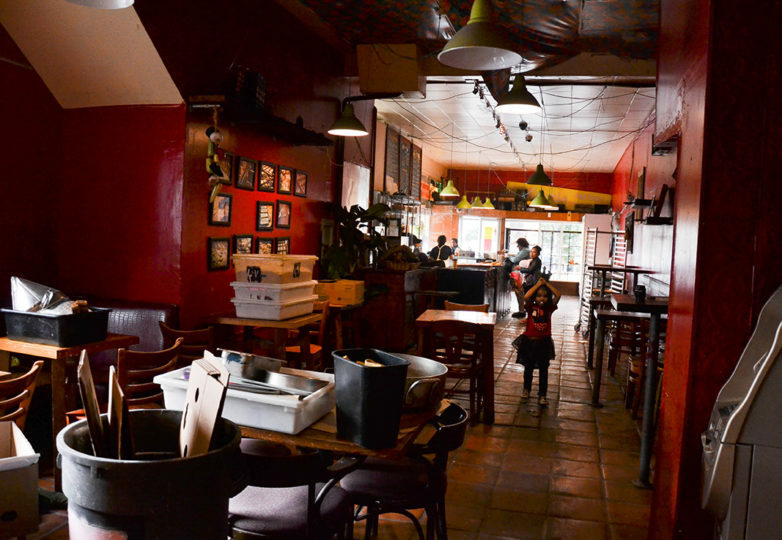 “There is a conflict with the family to sell the building. 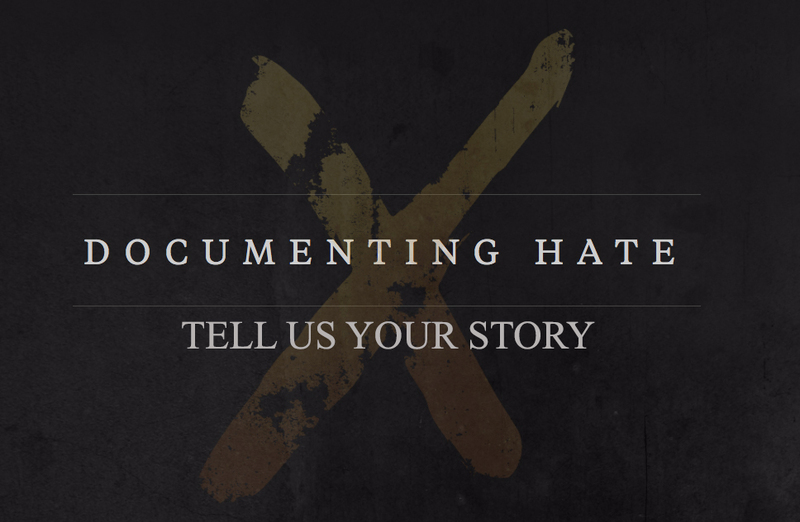 We tried to contact [the Maldonado family]. We called, sent mail and messages. 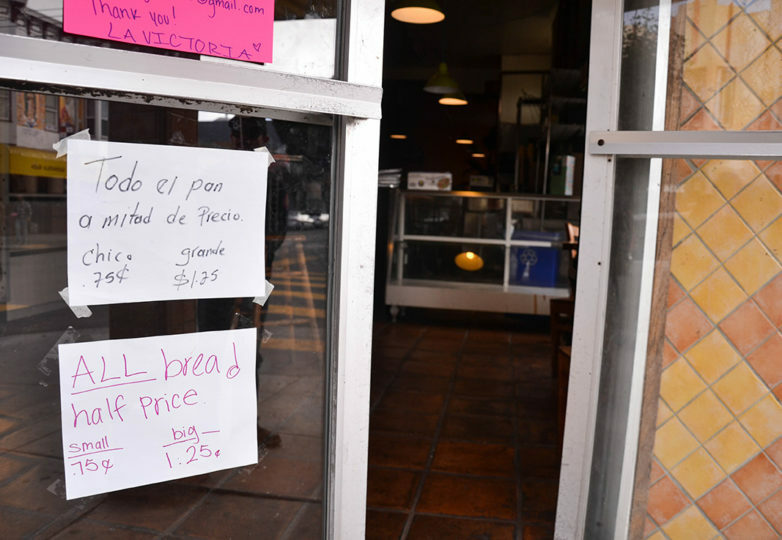 They did not want to talk to us,” said Hernandez. 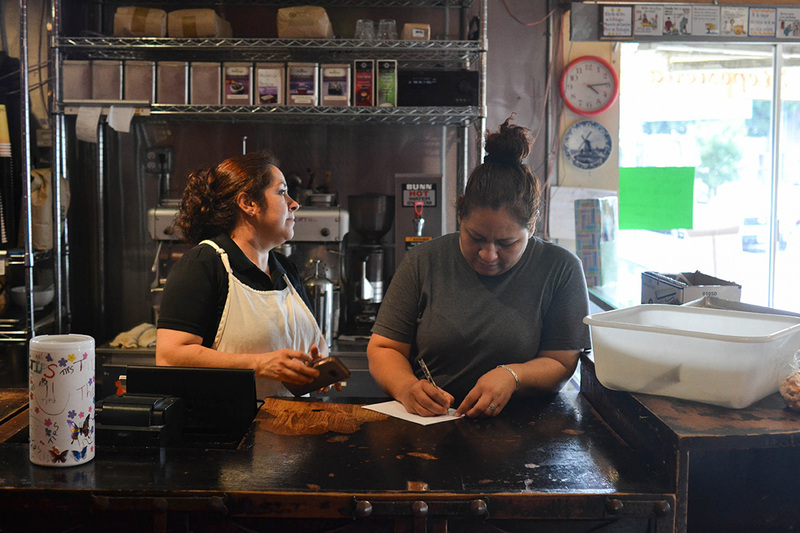 The Maldonado family decided to sell the business and served Hernandez with an eviction letter in July. 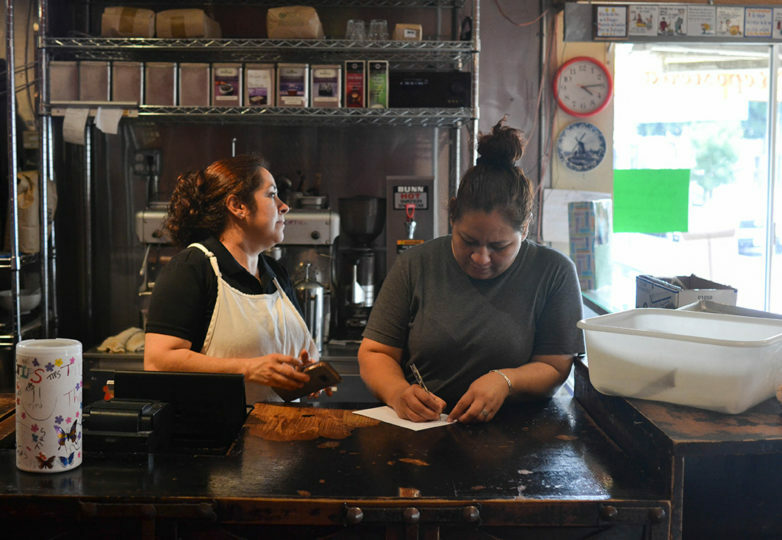 She has known the family for 12 years, but got no answer when she tried to contact them about the eviction. 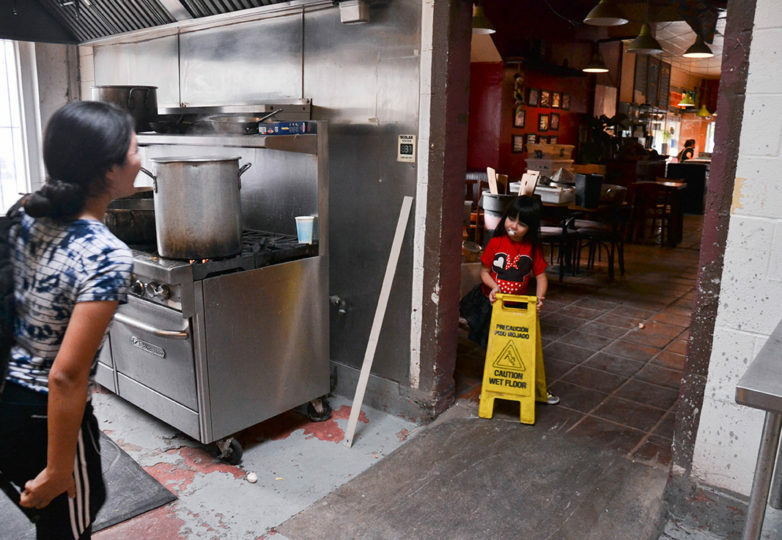 Now she, Gabriner, and their employees are left searching for a place to go. 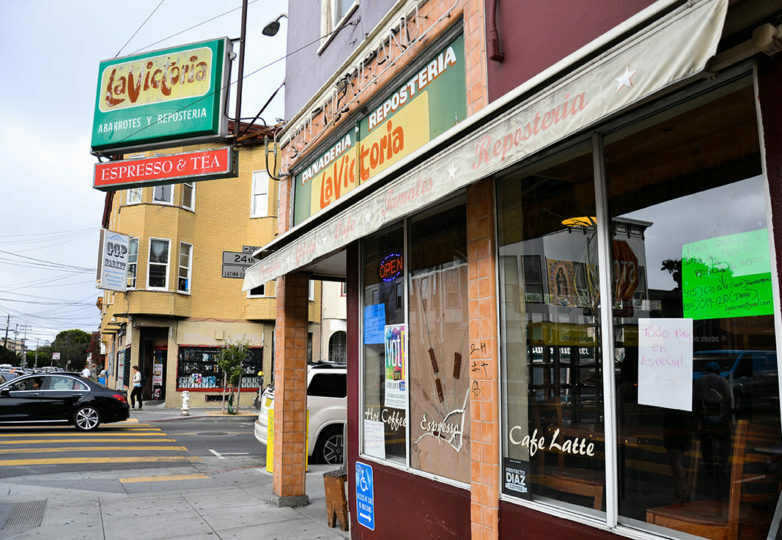 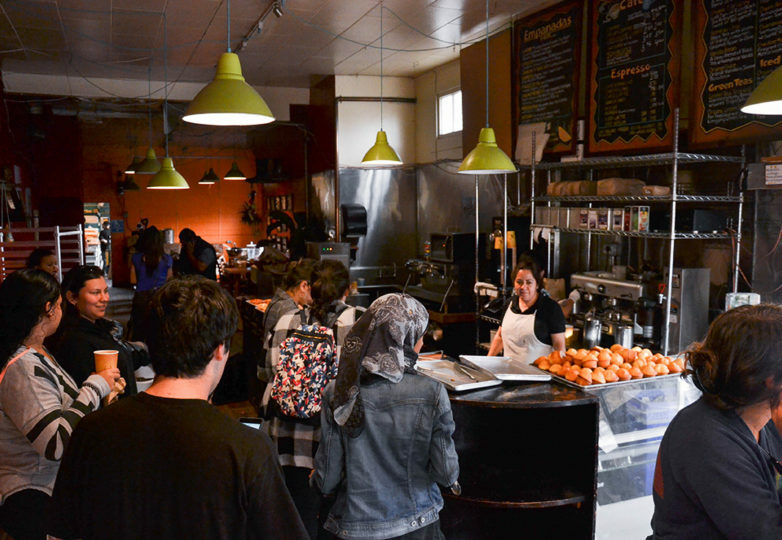 Mike Fishman, the owner of Cinderella Bakery in the Richmond District, put a bid on the building and was able to secure it. Hernandez and Gabriner asked him about the possibility of coming back to the 24th and Alabama location to sell bread. 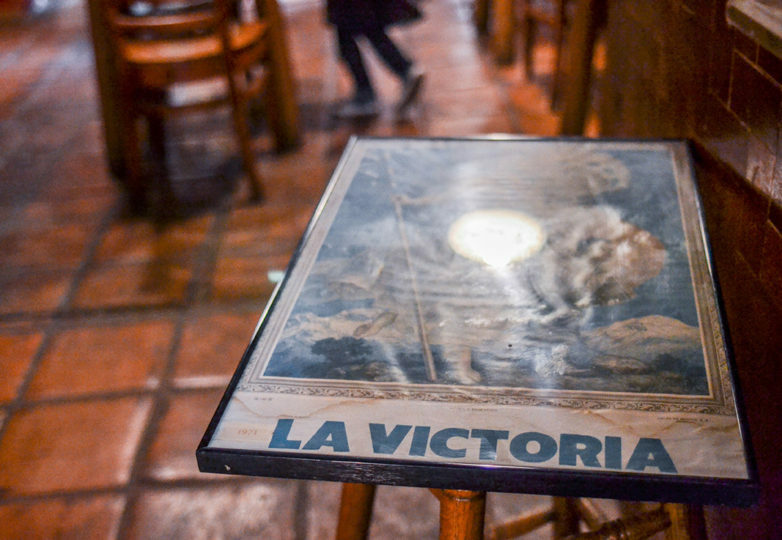 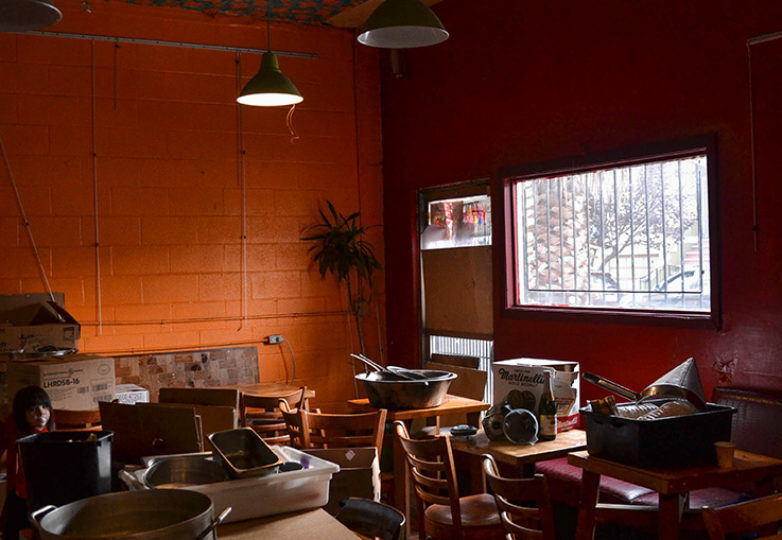 They’ve met with Fishman and according to them he said that he would be open to letting La Victoria stay, but they haven’t received an official response. 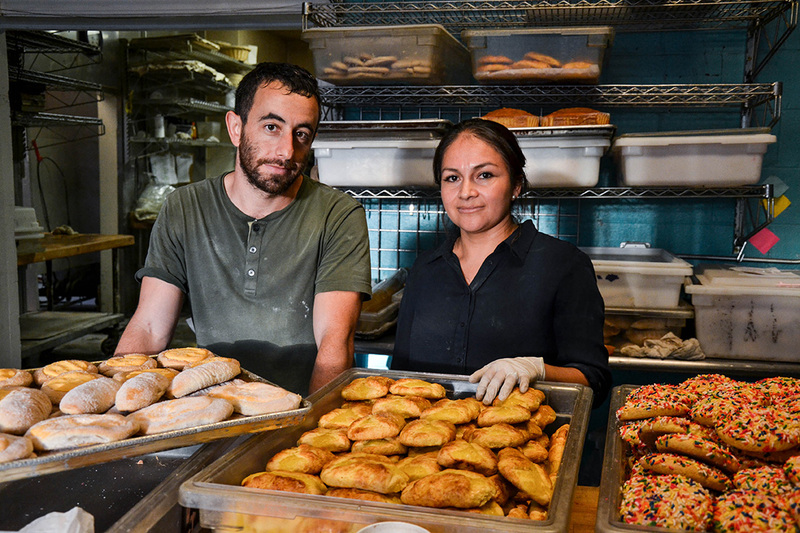 “Danny and I tried to talk to him [Fishman] a month ago about possibly letting us keep the bakery going,” said Hernandez. 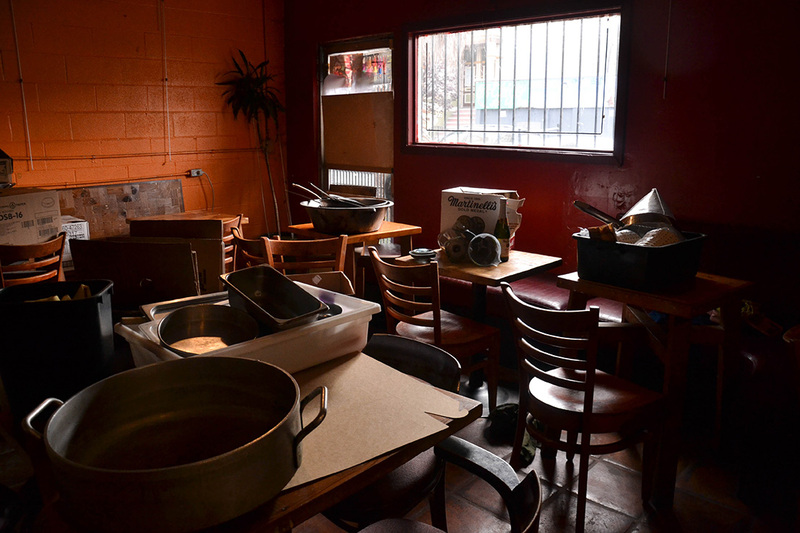 “He said we had to leave so he can remodel, but maybe he will let us stay. 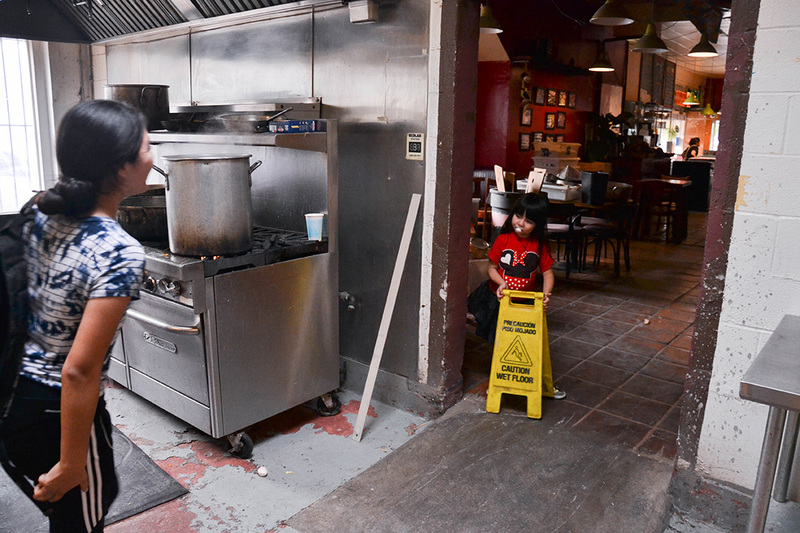 Now we are waiting on a ‘yes’ or ‘no,’ but I think he just wanted a way to get us out. Erick Arguello co-founded Calle 24 in order to preserve, enhance and advocate for Latino cultural continuity, vitality and community. 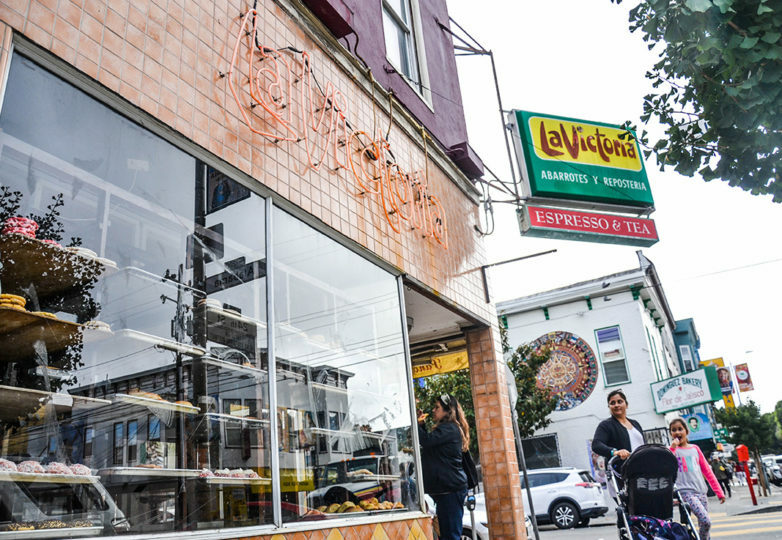 Arguello wants to help Hernandez and Gabriner keep the name of the bakery and find a new location because it doesn’t look like they will be able to return to 24th and Alabama. 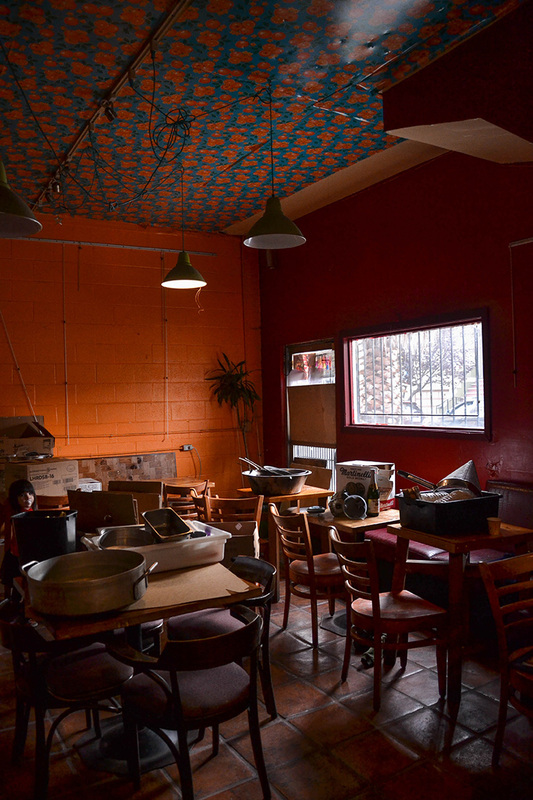 Arguello, who has been a vital part in trying to keep La Victoria around, has also yet to hear back from Fishman. 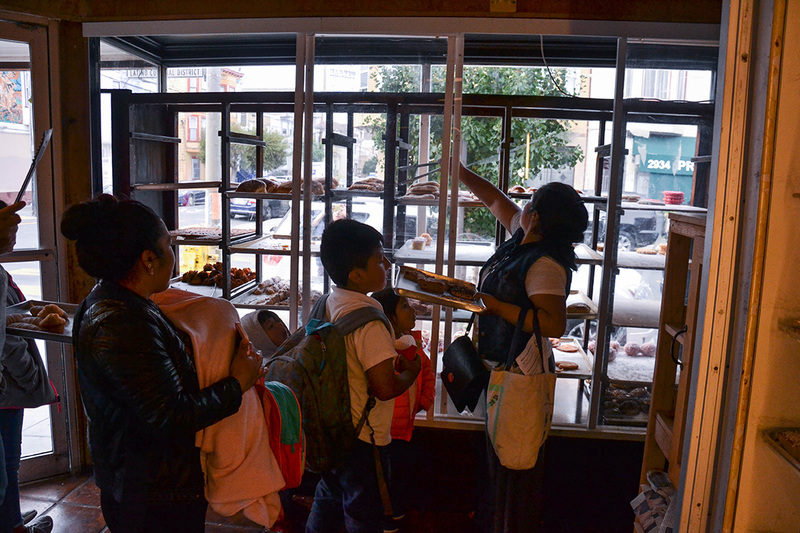 Other customers wanted to recognize that everyone that was a part of the business worked so hard and gave everything they had to their work. 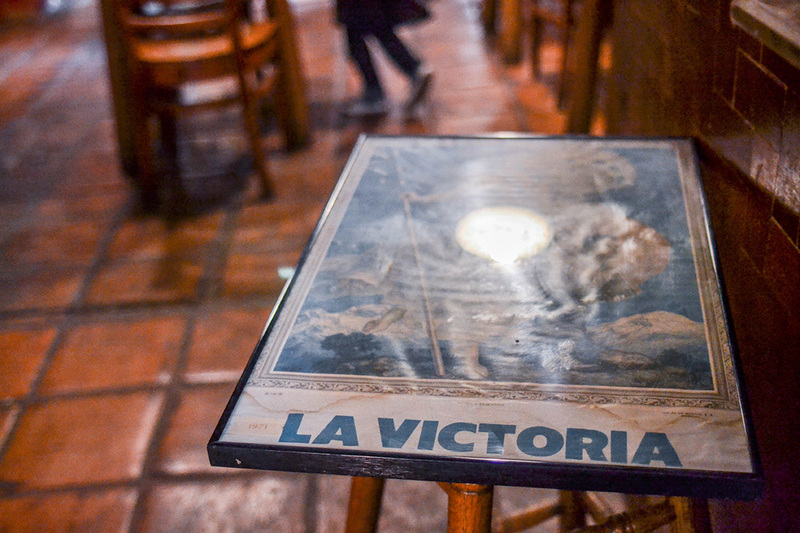 Andrea Rivas, an employee of La Victoria said that there was a lot of sadness and nostalgia on their last day. Rivas spent two years working for La Victoria. 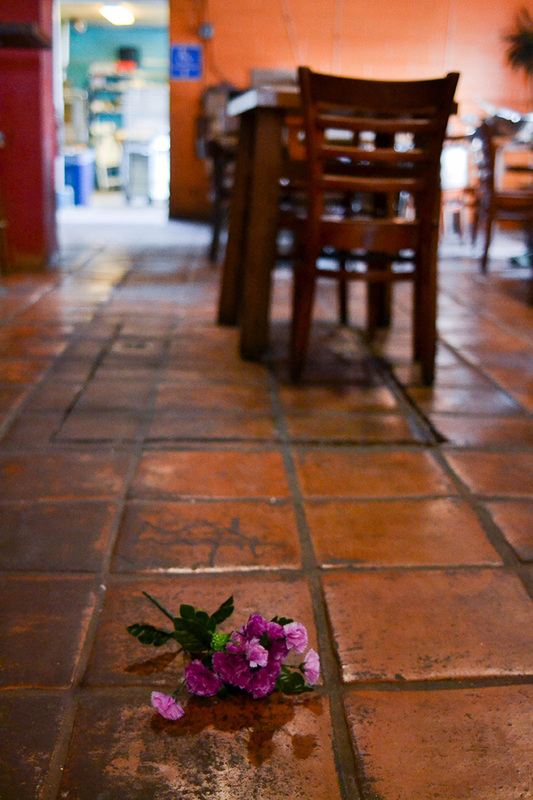 It was a lovely and beautiful experience for her and she made a lot of friends along the way. 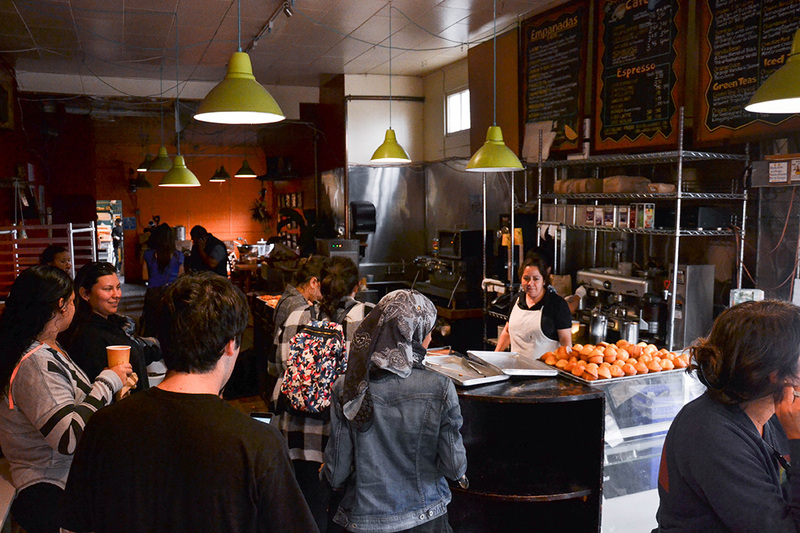 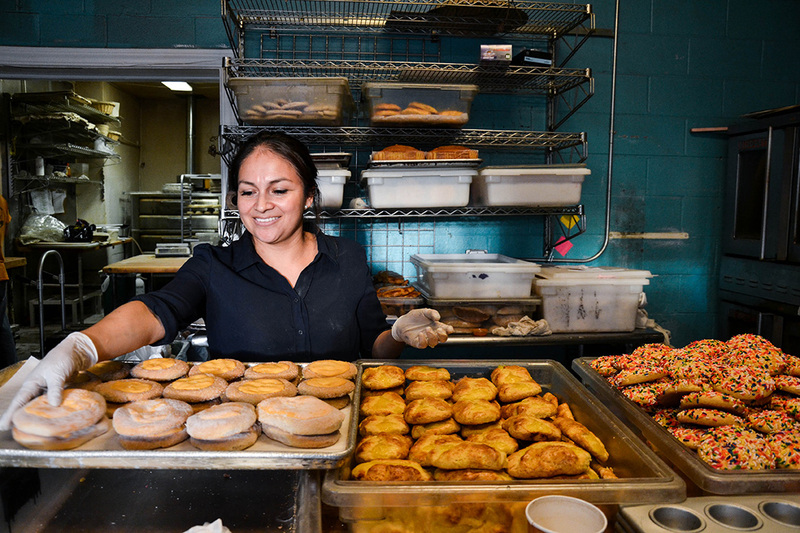 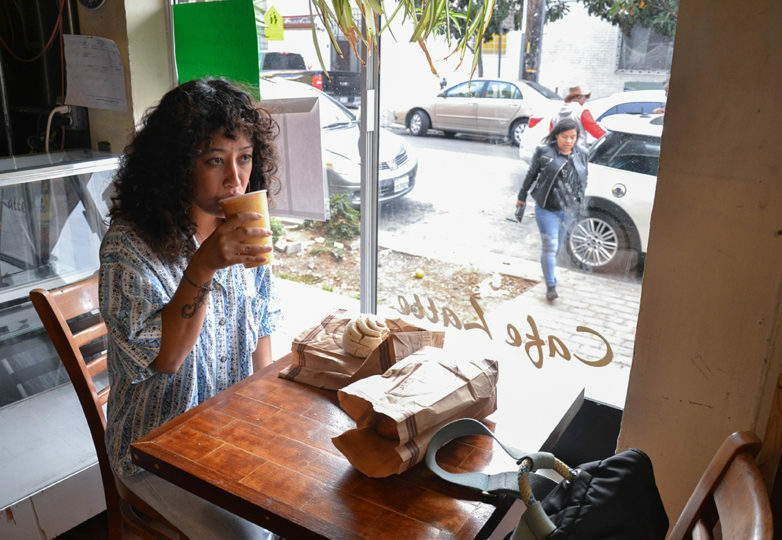 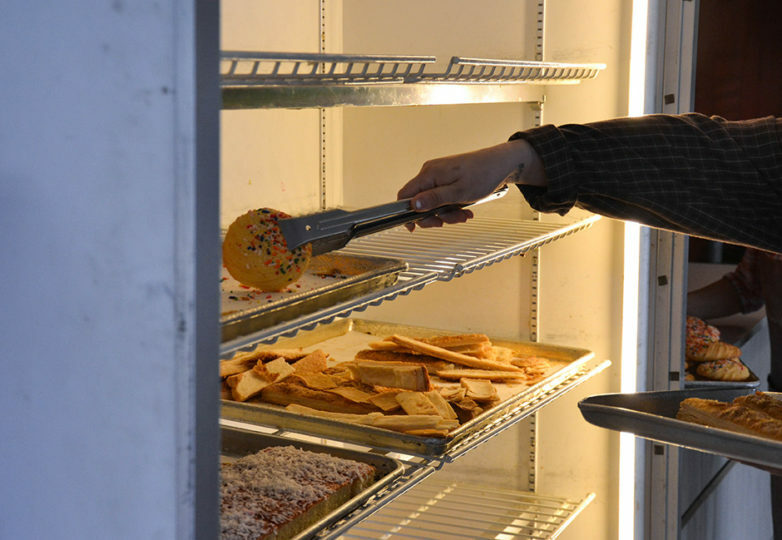 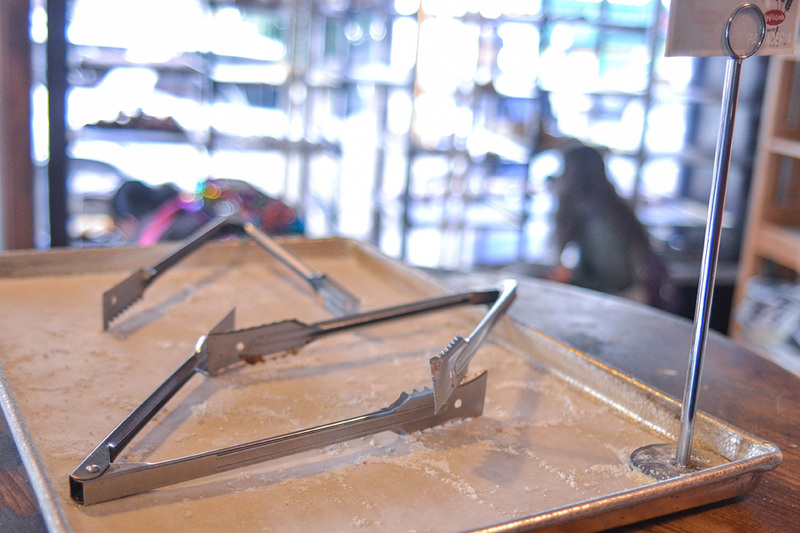 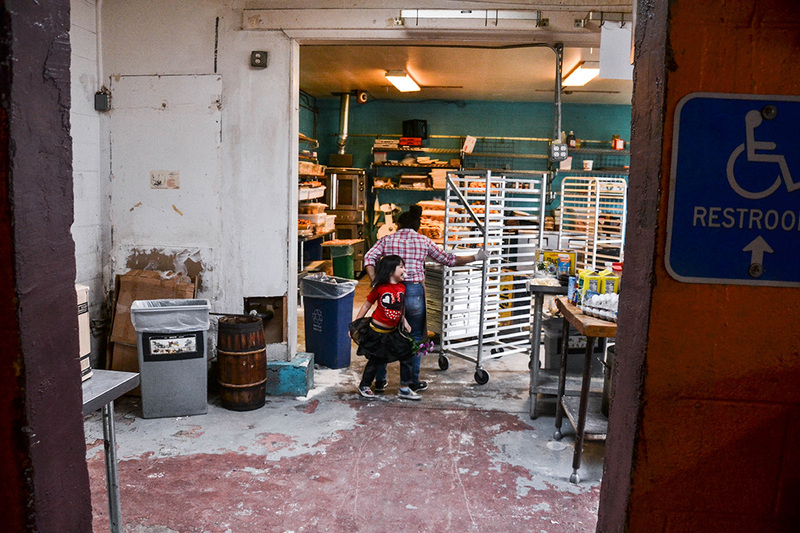 Rivas is not sure where she is going to go or what she will do now that the bakery is closing. 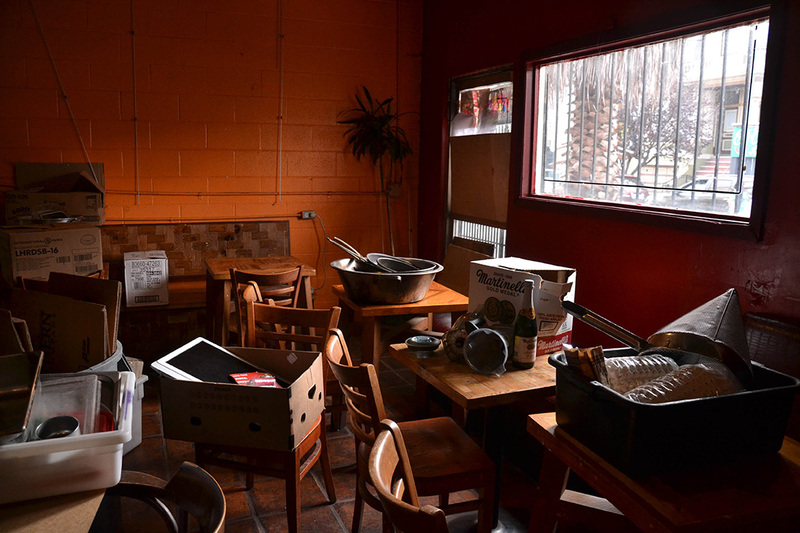 The biggest issue with the eviction is what is coming next both for the business and for the employees. 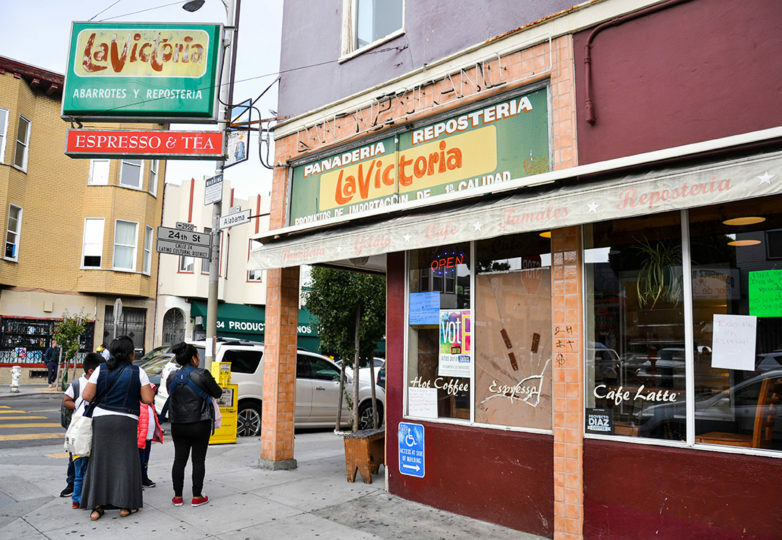 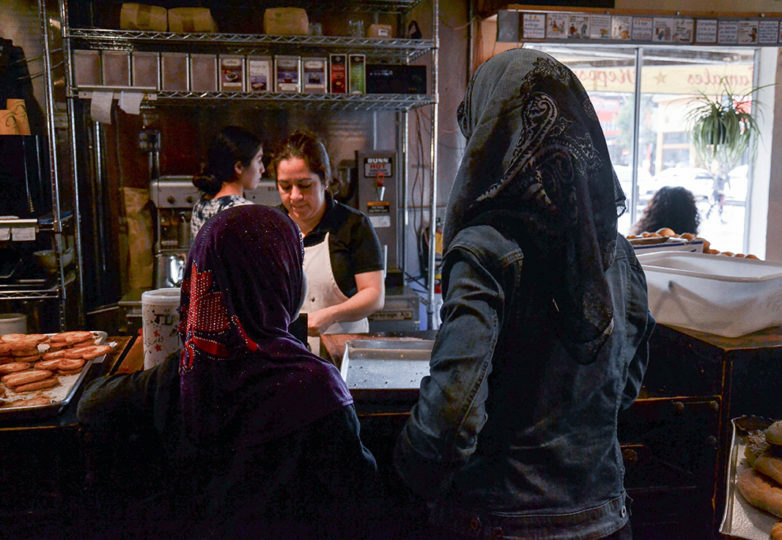 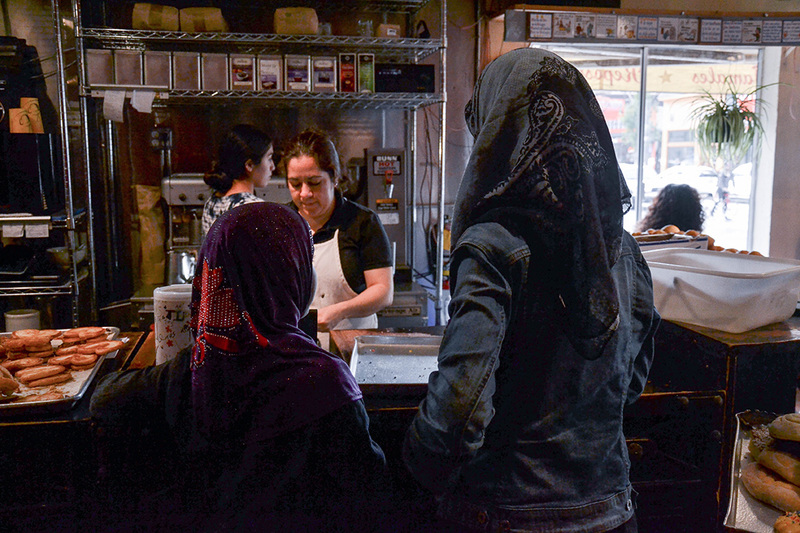 The move from 24th and Alabama has not been easy for La Victoria’s employees, but the community, recognizing the situation, was there to help. 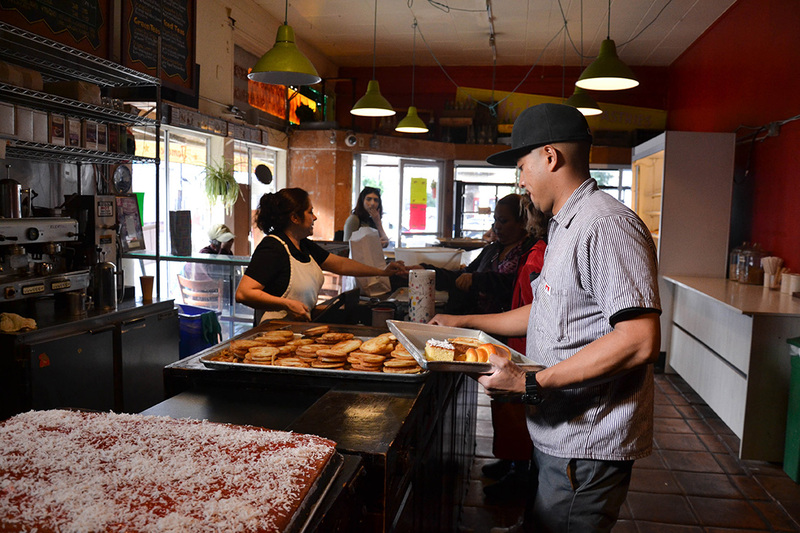 El Chico Produce, a business from across the street, let Hernandez and Gabriner borrow their large moving truck. 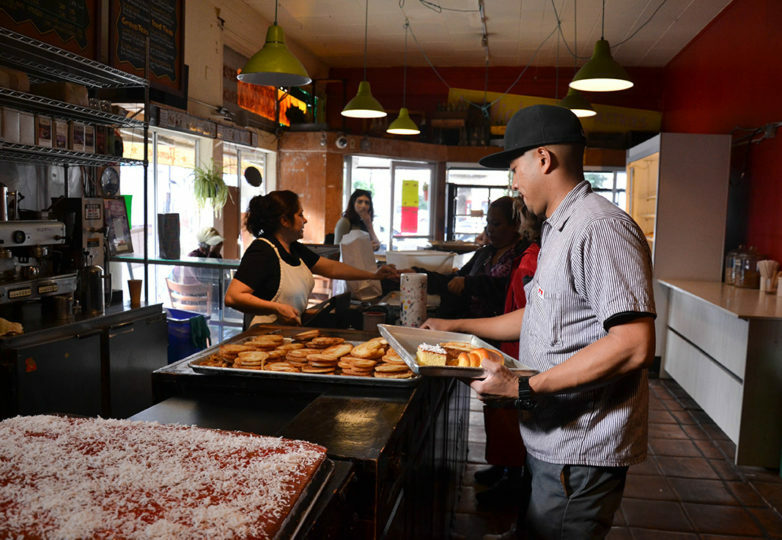 Community members, seeing another historical business displaced after being in the neighborhood for so many years, are willing to do anything to help them stay. 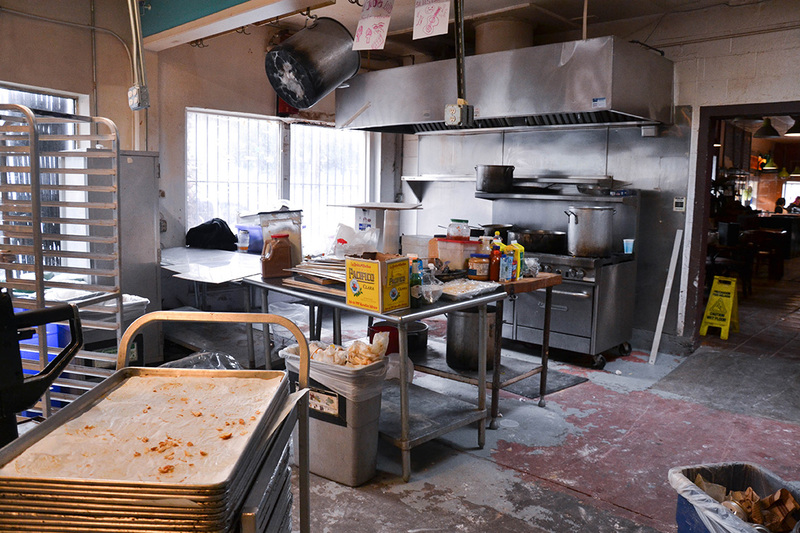 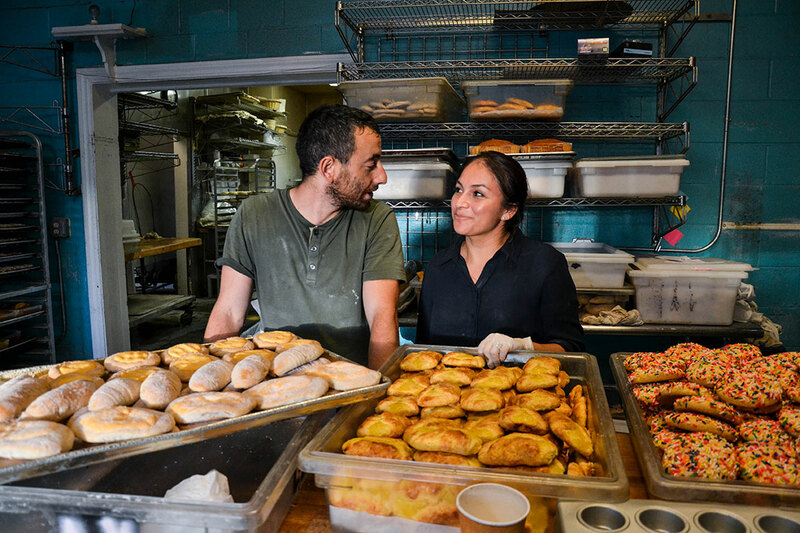 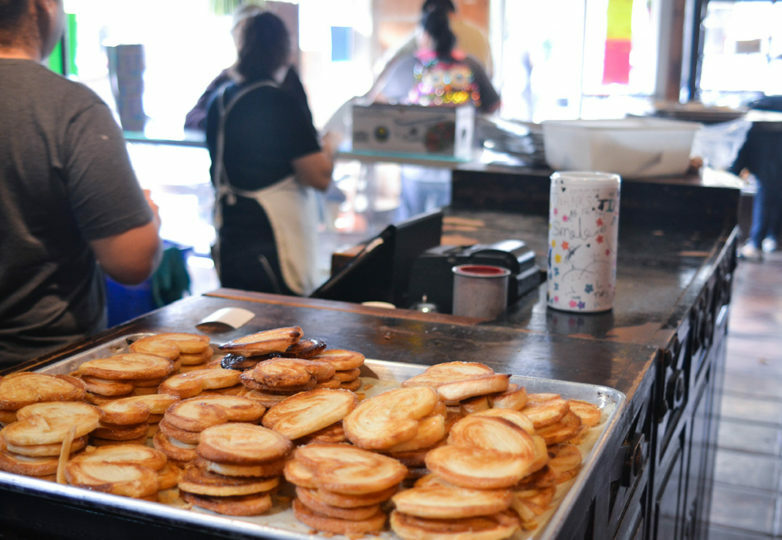 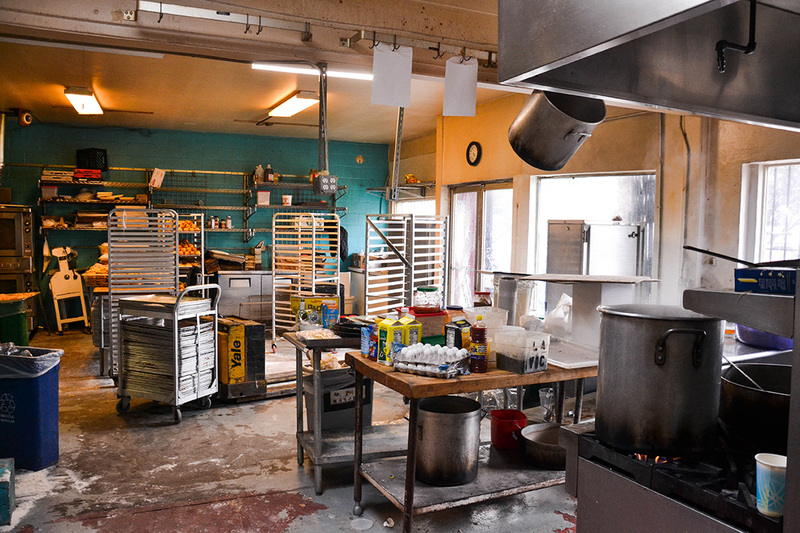 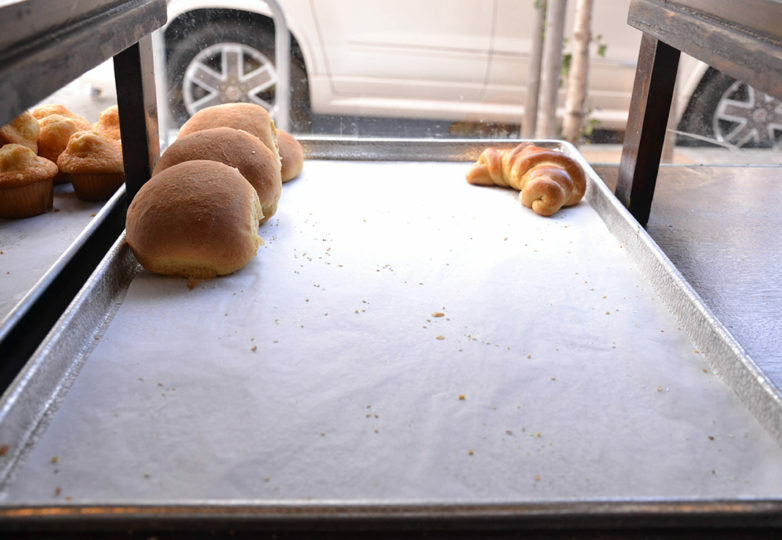 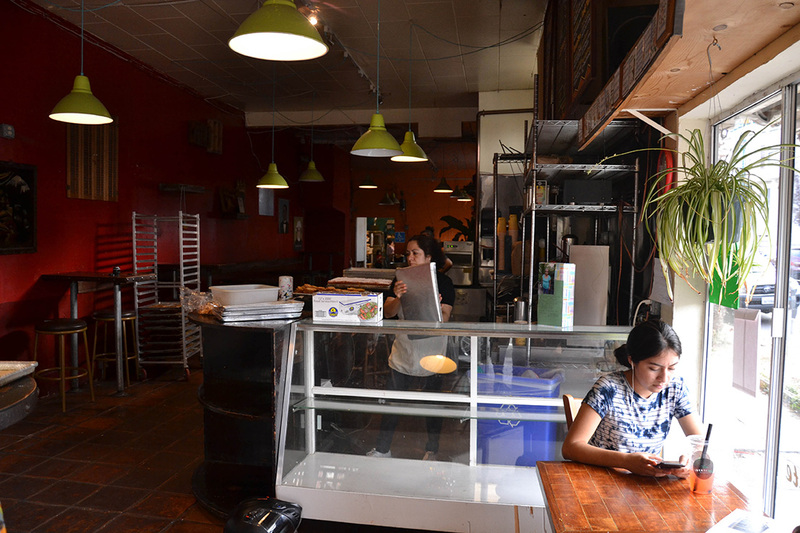 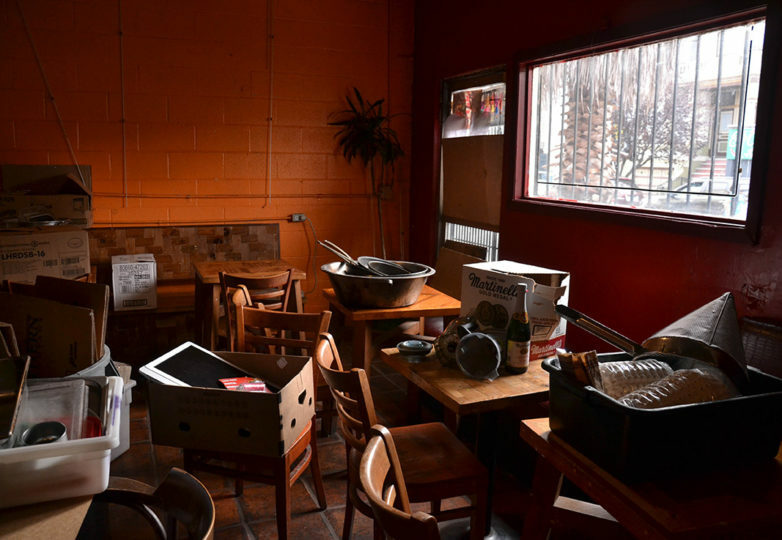 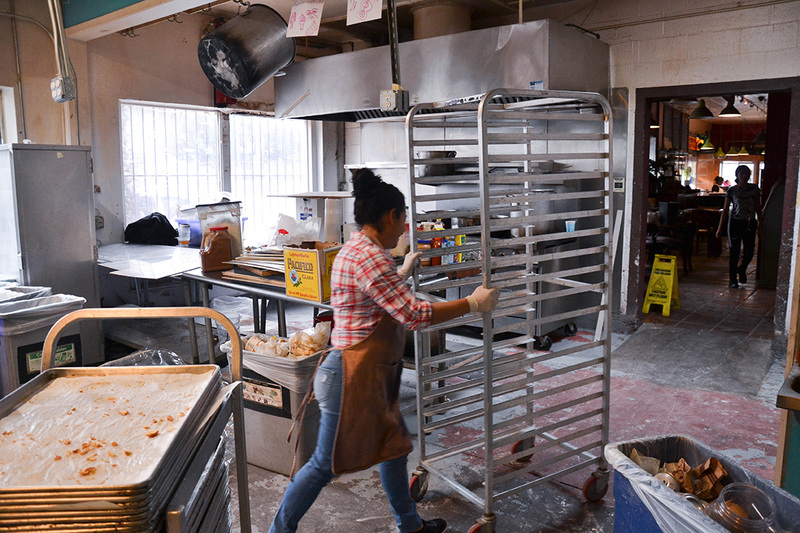 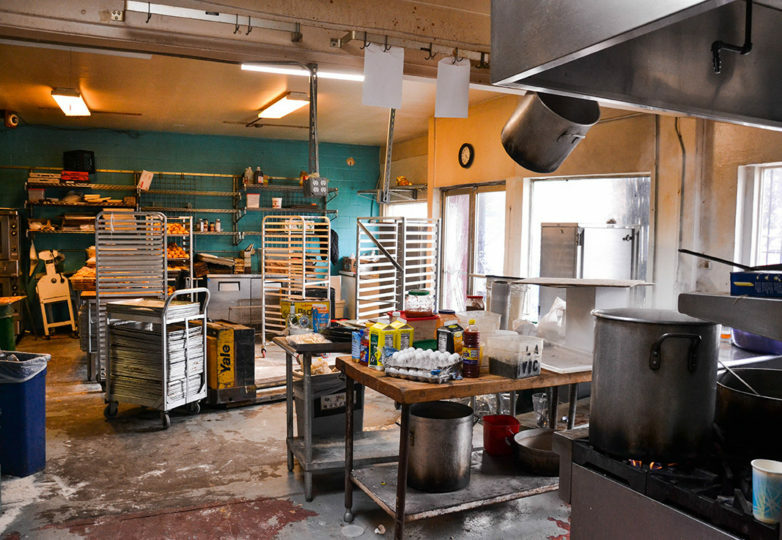 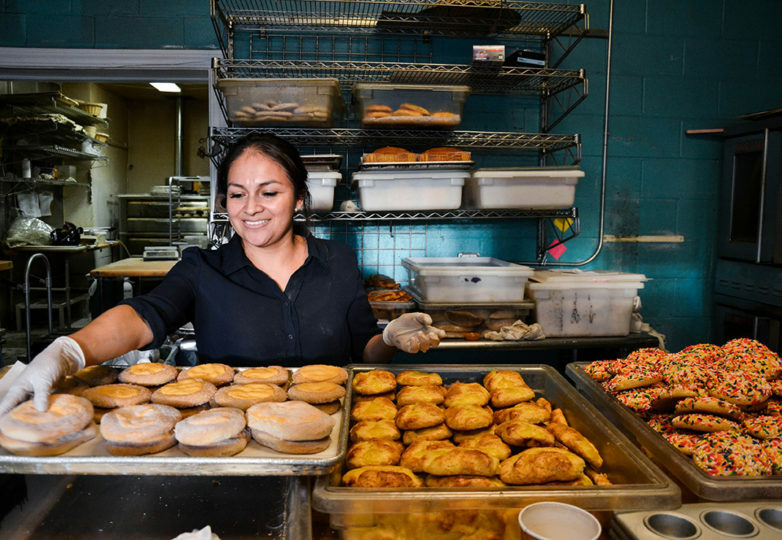 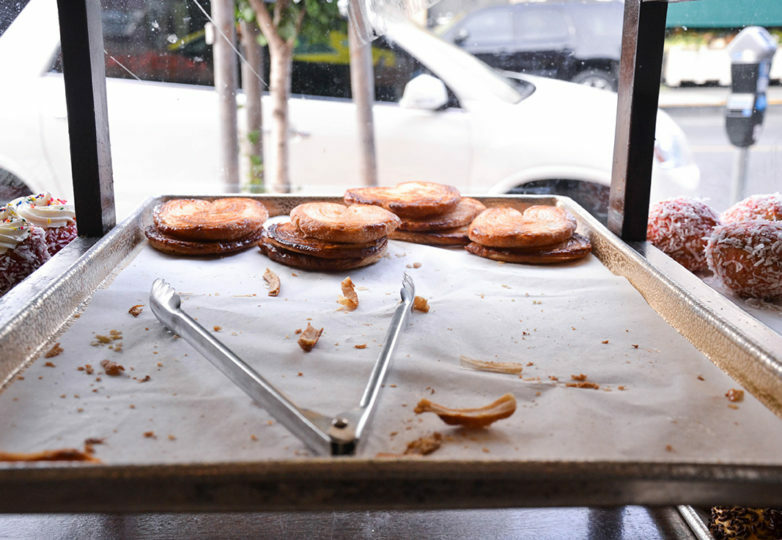 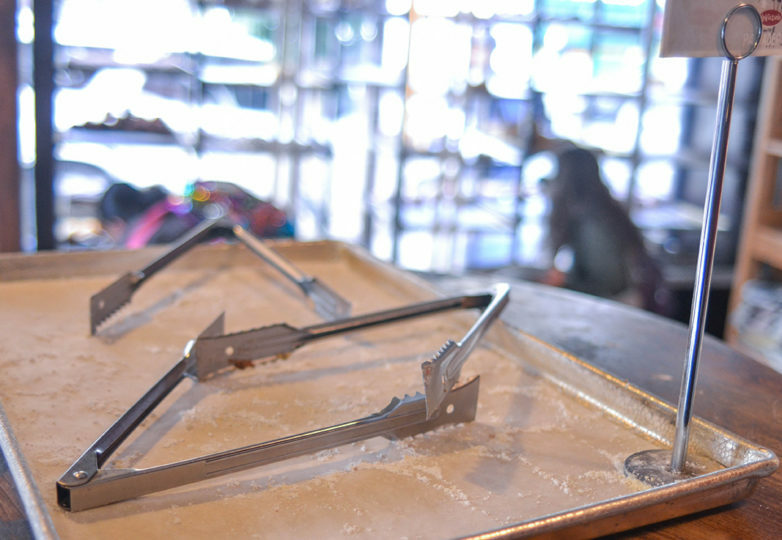 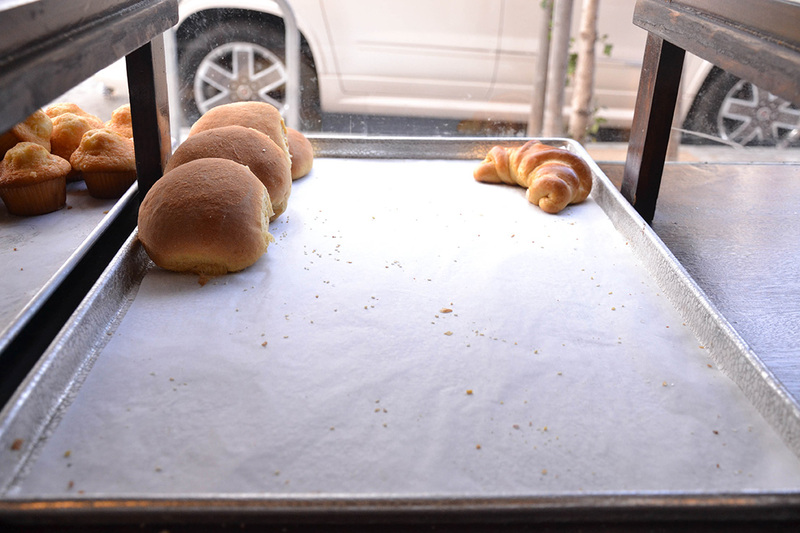 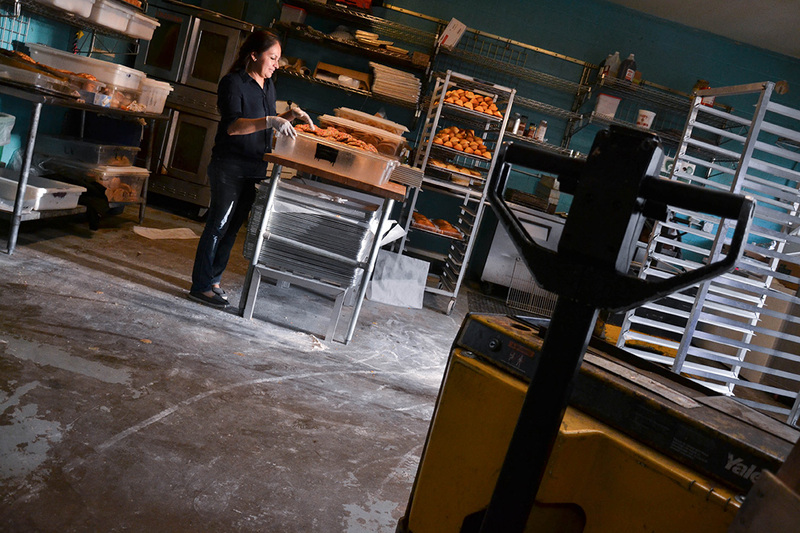 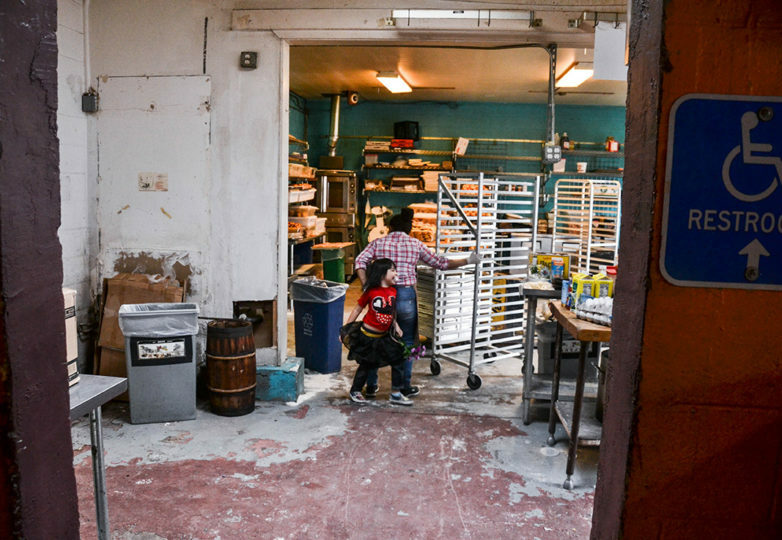 While Hernandez and Gabriner continue to wait for an answer, they’ll resume their bread making operation out of a bakery space in the Dogpatch District, where they’ll continue to work together with their employees from La Victoria. 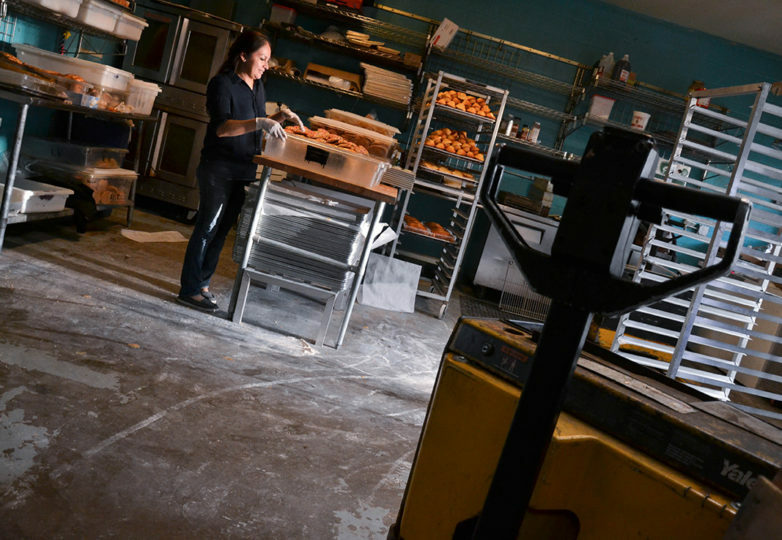 They are now part of the American Industrial Center, which is home to a variety of businesses ranging from tech start-ups to breweries and chocolatiers. 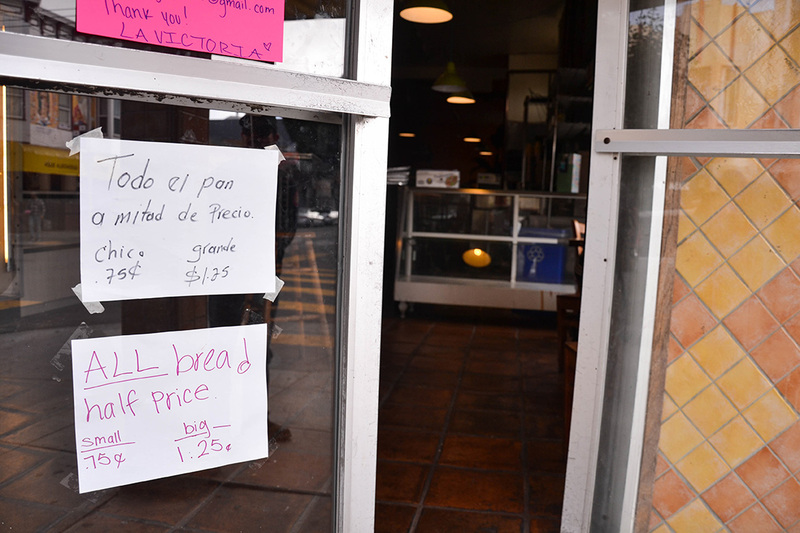 Hernandez and Gabriner are hoping this move is only temporary, because it’s not necessarily available for retail use. 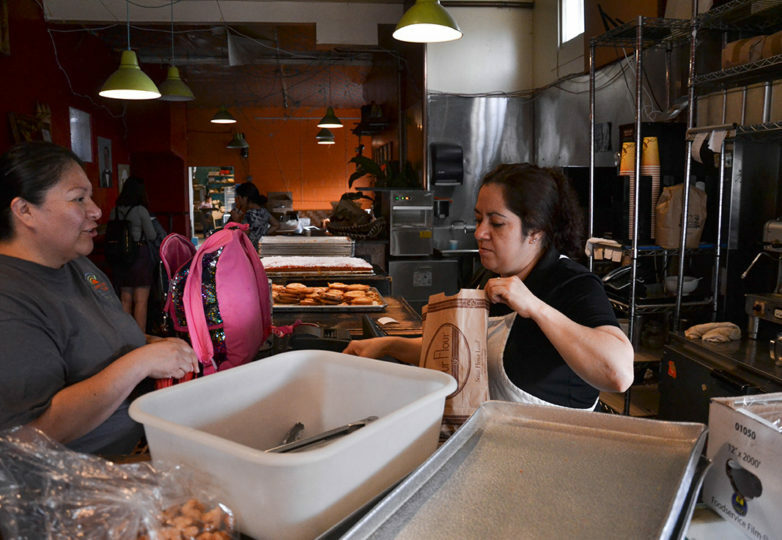 Though the future is far from clear, Hernandez and Gabriner feel the love from the Mission community. 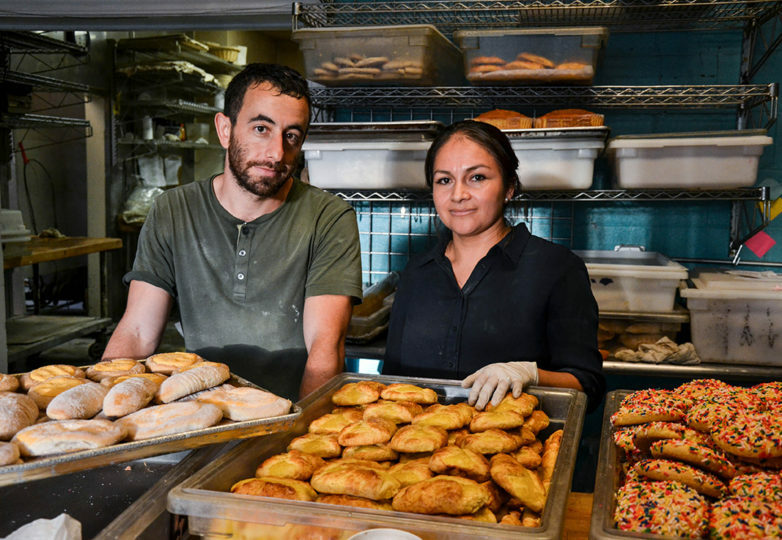 Though Hernandez and Gabriner don’t really know what the short term will look like, what they do know is that they will still be making bread. 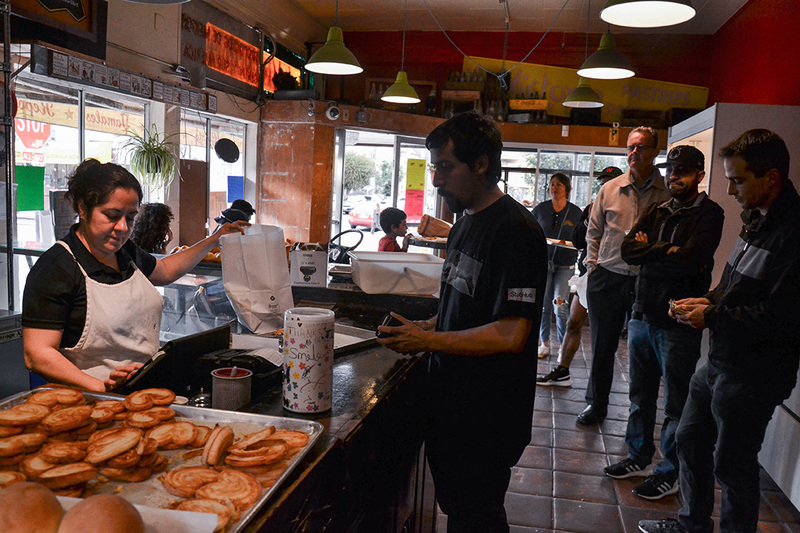 They are still taking orders for Day of the Dead and Three Kings Day. 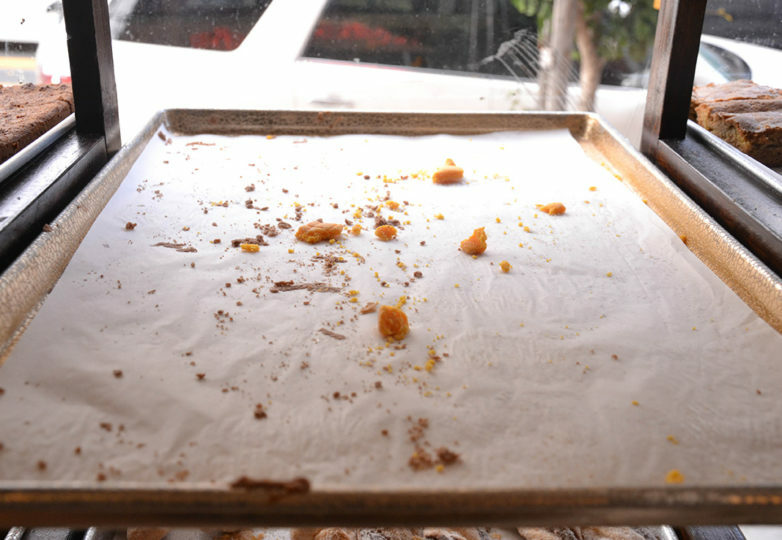 Those holidays are their busiest time of the year. 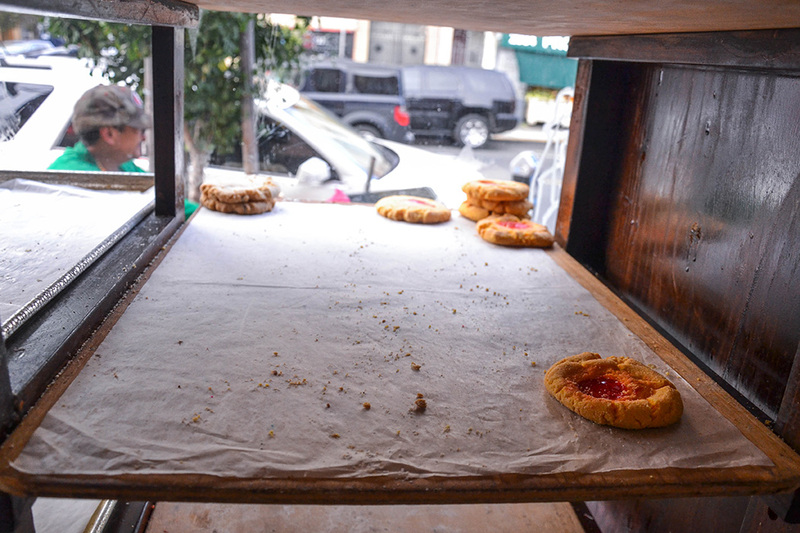 And they don’t plan on letting their customers down.